If you’re reading this, chances are good that you’ve been following my progress for a while and you’re one of the many people who have supported and encouraged me over the years. I want to start by saying that I really appreciate your interest and your support – it means a lot to me. Chances are also good that you know that this year’s World Championship in Hawaii didn’t work out quite the way I wanted it to. To be honest, it’s tough to write about this stuff. For what it’s worth though, the most valuable lessons we learn in life are usually the toughest. That’s unfortunate but true. So here’s my reflection on Kona 2016 – the good, the bad and the educational. Everyone needs to have a dream that they’re chasing. A goal that drives them forward, that motivates them. That they think about constantly and which makes hard work and pain worthwhile. For me that dream is Kona. It was watching the World Championships in Hawaii as a teenager that first got me interested in triathlon. I can remember being in awe of these super-athletes as they tackled the harshest conditions on the planet for a chance at being the best in the world. And I remember thinking, “I want to do that.” And that desire to win a World Championship at Kona has driven me ever since. In 2014 I made my Kona debut and surprised myself and everyone else by coming in 7th. That was a huge confidence boost for me and a reassurance that I was qualified to compete with the world’s best and take my place on the start line of the toughest race on the globe. In 2015 I went back to Kona wiser, feeling better prepared and keen to take my racing to the next level. I came away disappointed. More than anything, I was beaten by the conditions on the day. The Island won. My dream to conquer Kona has been my primary motivation in 2016. In my mind, everything has been leading up to that race. There’s no doubt 2016 has been a great year for me in so many ways. I won the Ironman Asia-Pacific Championship in Cairns, Australia. I came a very close second in the IM African Championship in South Africa and I had two top-four finishes in 70.3’s (Vietnam and Subic Bay) along the way. I’ve had a fresh focus and energy and been more fired up than ever this year. I’ve certainly been enjoying racing and training too. As I headed to Boulder, Colorado for altitude training and my World Championship preparation I was in a really good place physically and mentally. 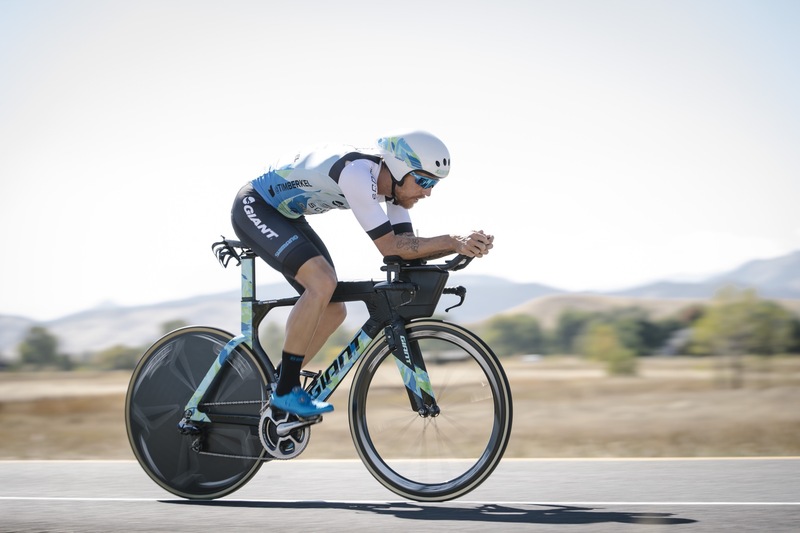 My preparation for Kona was perfect – in my mind it’s the best preparation I have ever done. The Plews (my coach Dr Dan Plews) joined me for the stst two weeks leading up to the race. It was great to have a training partner and someone to push me harder and help me mentally prepare as well. Ten days out from the race I did my last solid session and that was when I felt the first twinges of pain in my back, hip and hamstrings. If you’ve followed my story, you’ll know that I’ve struggled with these issues (IM Melb 2015) before. I pulled up sore after training and that pain continued right up until the race. Despite getting treatment every second day the problem remained, just sitting in the background. In that situation, what do you do? When you’re pursuing a dream, but problems appear? As tempting as it is to whine and complain, all you can do is put your head down and give it your best shot, so that’s what I did. On race day I lined up at the start feeling that I was as well-prepared as I could possibly be. I had a good swim; in fact it was the fastest I’ve ever done at Kona – 48:57. There were about 10 athletes in the front group and then a small gap to us. There were a lot of serious contenders in my group. I was out of the water in 20th place, but whenever I’m only a minute behind someone like Jan Frodeno, that’s a really good swim for me. Bottom line – I couldn’t have swum any harder. And that was fine, because we quickly caught the front guys on the bike. The pace at the start of the bike leg was intense, but I felt pretty comfortable. At about 40km I started moving up and then found myself leading the race, which boosted my confidence. The view from the front in a World Championship is pretty good! However, my back and hip had started hurting as soon as I got onto the bike. I thought perhaps I could ‘ride it out’, but the pain increased as we headed up the hill at Hawi. I was averaging 320w for about 30 minutes, which gives some idea of the intensity of the competition. That’s going over my threshold. At the turnaround I was in 9th place but as we started the descent I lost contact with the front group. It’s hard, it’s windy and the pace accelerates rapidly. At that stage the rubber band always starts to stretch a bit. The group goes from 26 or 27 guys down to 10. I made the initial cut but then got dropped at about the 116km mark. At that point I struggled to push another pedal straight. I was digging as deep as I could, but with the combination of pain and loss of power I knew I was in big trouble. There was no way that I could get back into the race and I knew my hopes were dashed. Coming back into town I was feeling very disappointed. For the whole ride my NP (normalised power) was 256w. That was worse than the last year. But it just wasn’t enough and the back/hip pain was intense. When you’re out of the competition and out of the money, it’s very tempting to pull the plug and say enough is enough. But in my mind, you don’t go to Kona unless you intend to finish the race. I completed the race with a good run – 2:53:14, but I felt incredibly disappointed as I finished in 19th place. What do you do when you work hard to achieve a dream but problems prevent you from succeeding? That’s not just an issue for athletes – that’s an issue for everyone on and off the course. Really, there are only two choices – you either give up your dream or you learn the hard lessons, change your strategy and try again. Once again, I learnt some hard lessons at the World Championships. I need to work harder on my cycling. Refine my body position. I need to focus more on strength and conditioning so that I go into the race in peak physical conditioning. And my dream? Morale and self-esteem took a bit of a beating in Hawaii this year, but the dream is still burning and it will keep motivating me to give 100%. I’ll go back to Kona, stronger, wiser and more committed. I’ll go back to Kona and challenge the Island once again.